As crime and violence overrun our cities and homes, doesn’t it make sense that to secure peace and safety, we all should obey the laws of the land? Well, centuries ago, God wrote His own law in stone—and the Bible says we’re still supposed to keep it today. Violating any part of God’s law always brings negative consequences. But most important, keeping all of God’s law secures our peace and safety. 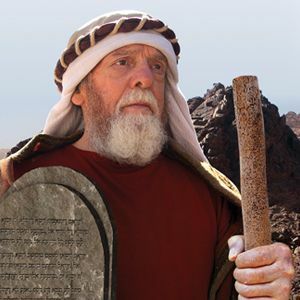 Since so much is at stake, isn’t it worth your time to take a few minutes to seriously consider the place God’s Ten Commandments have in your life? 1. Did God really write the Ten Commandments Himself? “He gave Moses two tablets of the Testimony, tablets of stone, written with the finger of God. …Now the tablets were the work of God, and the writing was the writing of God engraved on the tablets” (Exodus 31:18; 32:16). Answer: Yes! The God of heaven wrote the Ten Commandments on tables of stone with His own finger. 2. What is God’s definition of sin? “Sin is lawlessness” (1 John 3:4). Answer: Sin is the breaking of God’s Ten Commandment law. The law of God is perfect (Psalm 19:7), and its principles cover every conceivable sin. The commandments cover “man’s all [the whole duty of man]” (Ecclesiastes 12:13). Nothing is left out. 3. Why did God give us the Ten Commandments? “Happy is he who keeps the law” (Proverbs 29:18). “Keep my commands; for length of days and long life and peace they will add to you” (Proverbs 3:1, 2). 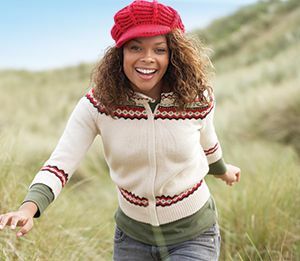 A: As a guide for happy, abundant living. God created us to experience happiness, peace, long life, contentment, accomplishment, and all the other great blessings for which our hearts long. 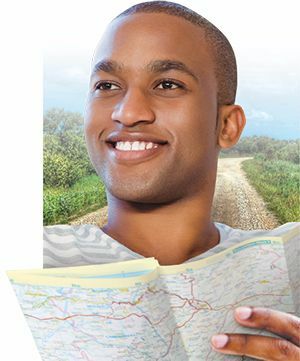 God’s law is a road map that points out the right paths to follow in order to find this true, supreme happiness. “By the law is the knowledge of sin” (Romans 3:20). “I would not have known sin except through the law. For I would not have known covetousness unless the law had said, ‘You shall not covet’ ” (Romans 7:7). "By the law is the knowledge of sin." Romans 3:20. "I had not known sin, but by the law: for I had not known lust, except the law had said, Thou shalt not covet." Romans 7:7. To show us the difference between right and wrong. God’s law is like a mirror (James 1:23–25). 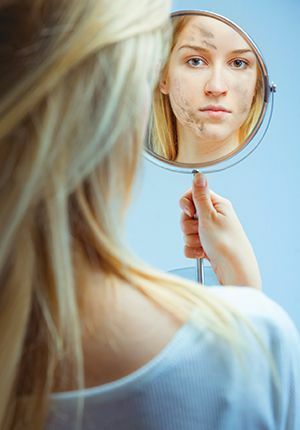 It points out wrongdoing in our lives much like a mirror points out dirt on our faces. The only possible way for us to know we are sinning is to carefully check our lives by the mirror of God’s law. Peace for a mixed-up world can be found in God’s Ten Commandments. It tells us where to draw the line! “The Lord commanded us to observe all these statutes [commandments] … for our good always” (Deuteronomy 6:24). “Hold me up, and I shall be safe, and I shall observe Your statutes continually. 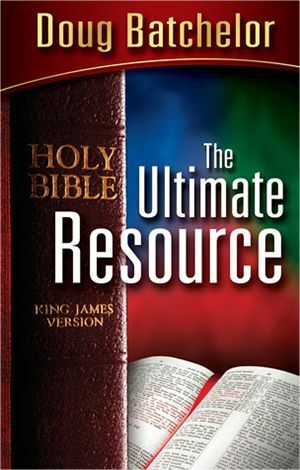 You reject all those who stray from Your statutes” (Psalm 119:117, 118). To protect us from danger and tragedy. God’s law is like a strong cage at the zoo that protects us from fierce, destructive animals. It protects us from falsehood, murder, idolatry, theft, and many other evils that destroy life, peace, and happiness. All good laws protect, and God’s law is no exception. “By this we know that we know Him, if we keep His commandments” (1 John 2:3). It helps us to know God. Special Note: The eternal principles within God’s law are written deep in every person’s nature by the God who created us. 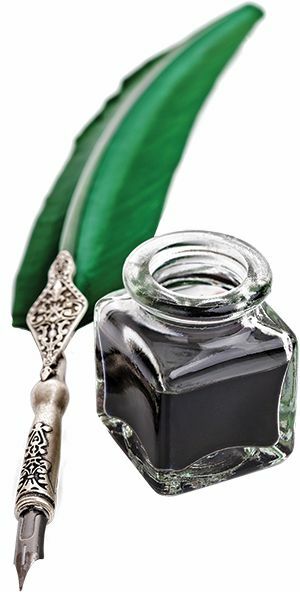 The writing might be dim and smudged, but it is still there. We were created to live in harmony with them. When we ignore them, the result is always tension, unrest, and tragedy—just as ignoring the rules for safe driving can lead to serious injury or death. 4. Why is God’s law exceedingly important to you personally? “Speak and so do as those who will be judged by the law of liberty” (James 2:12). Answer: Because the Ten Commandment law is the standard by which God examines people in the heavenly judgment. 5. 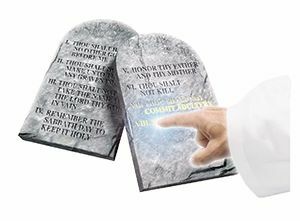 Can God’s law (the Ten Commandments) ever be changed or abolished? “It is easier for heaven and earth to pass away than for one tittle of the law to fail” (Luke 16:17). “My covenant I will not break, nor alter the word that has gone out of My lips” (Psalm 89:34). “All His precepts [commandments] are sure. They stand fast forever and ever” (Psalm 111:7, 8). Answer: No. The Bible is clear that the law of God cannot be changed. The commandments are revealed principles of God’s holy character and are the very foundation of His kingdom. They will be true as long as God exists. This chart shows us that God and His law have the exact same characteristics, revealing that the Ten Commandment law is actually God’s character in written form—written so that we can better comprehend God. It is no more possible to change God’s law than to pull God out of heaven and change Him. Jesus showed us what the law—that is, the pattern for holy living—looks like when expressed in human form. God’s character cannot change; therefore, neither can His law. 6. Did Jesus abolish God's law while He was here on earth? “Do not think that I came to destroy the Law. … I did not come to destroy but to fulfill. … Till heaven and earth pass away, one jot or one tittle will by no means pass from the law till all is fulfilled” (Matthew 5:17, 18). Answer: No, indeed! Jesus specifically asserted that He did not come to destroy the law, but to fulfill (or keep) it. 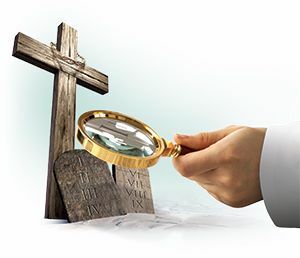 Instead of doing away with the law, Jesus magnified it (Isaiah 42:21) as the perfect guide for holy living. For example, Jesus pointed out that “You shall not murder” condemns anger “without a cause” (Matthew 5:21, 22) and hatred (1 John 3:15), and that lust is a form of adultery (Matthew 5:27, 28). He said, “If you love Me, keep My commandments” (John 14:15). 7. Will people who knowingly continue to break God’s commandments be saved? “He will destroy its sinners” (Isaiah 13:9). “Whoever shall keep the whole law, and yet stumble in one point, he is guilty of all” (James 2:10). Answer: The Ten Commandment law guides us into holy living. If we ignore even one of the commandments, we neglect an essential part of the divine blueprint. 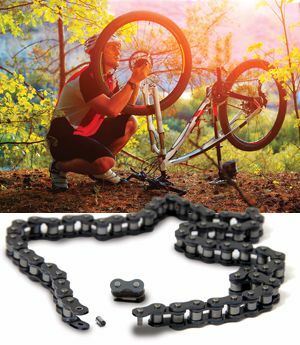 If only one link of a chain is broken, its entire purpose is undone. The Bible says that when we knowingly break a command of God, we are sinning (James 4:17) because we have refused His will for us. Only those who do His will can enter the kingdom of heaven. Of course, God will forgive anyone who genuinely repents and accepts Christ’s power to change him or her. 8. Can anyone be saved by keeping the law? “By the deeds of the law no flesh will be justified in His sight” (Romans 3:20). “By grace you have been saved through faith, and that not of yourselves; it is the gift of God, not of works, lest anyone should boast” (Ephesians 2:8, 9). Answer: No! The answer is too plain to miss. No one can be saved by keeping the law. Salvation comes only through grace, as a free gift of Jesus Christ, and we receive this gift by faith, not by our works. The law serves as a mirror that points out the sin in our lives. Just as a mirror can show you dirt on your face but cannot clean your face, so cleansing and forgiveness from that sin come only through Christ. 9. Why, then, is the law essential for improving a Christian’s character? “Fear God and keep His commandments, for this is man’s all [whole duty]” (Ecclesiastes 12:13). “By the law is the knowledge of sin” (Romans 3:20). 10. What enables a truly converted Christian to follow the pattern of God’s law? “I will put My laws in their mind and write them on their hearts” (Hebrews 8:10). “I can do all things through Christ” (Philippians 4:13). Answer: Christ not only pardons repentant sinners, He also restores in them the image of God. He brings them into harmony with His law through the power of His indwelling presence. “Thou shalt not” becomes a positive promise that the Christian will not steal, lie, murder, etc., because Jesus lives within us and is in control. God will not change His moral law, but He made a provision through Jesus to change the sinner so we can measure up to that law. 11. But isn’t a Christian who has faith and is living under grace freed from keeping the law? “Sin shall not have dominion over you: for you are not under law but under grace. What then? Shall we sin [break the law] because we are not under law but under grace? Certainly not!” (Romans 6:14, 15). “Do we then make void the law through faith? Certainly not! On the contrary, we establish the law” (Romans 3:31). Answer: No! The Scriptures teach the very opposite. 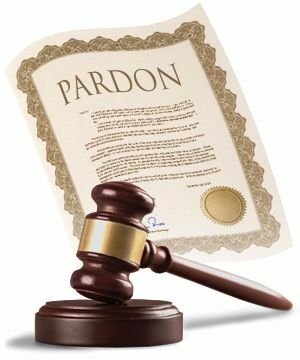 Grace is like a governor’s pardon to a prisoner. It forgives him, but it does not give him the freedom to break another law. The forgiven person, living under grace, will actually want to keep God’s law in his or her gratitude for salvation. A person who refuses to keep God’s law, saying that he is living under grace, is sorely mistaken. 12. 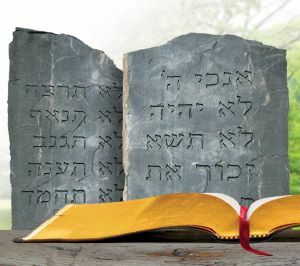 Are the Ten Commandments of God also affirmed in the New Testament? Answer: Yes—and very clearly so. Look over the following very carefully. The Law of God in the New Testament. 1. "You shall worship the Lord your God, and Him only you shall serve" (Matthew 4:10). 2. "Little children, keep yourselves from idols" (1 John 5:21). "Since we are the offspring of God, we ought not to think that the Divine Nature is like gold or silver or stone, something shaped by art and man’s devising" (Acts 17:29). 3. "That the name of God and His doctrine may not be blasphemed" (1 Timothy 6:1). 4. "He has spoken in a certain place of the seventh day in this way: 'And God rested on the seventh day from all His works.' There remains therefore a rest ["keeping of a sabbath," margin] for the people of God. For he who has entered His rest has himself also ceased from his works as God did from His" (Hebrews 4:4, 9, 10). 5. "Honor your father and your mother" (Matthew 19:19). 6. "You shall not murder" (Romans 13:9). 7. "You shall not commit adultery" (Matthew 19:18). 8. "You shall not steal" (Romans 13:9). 9. "You shall not bear false witness" (Romans 13:9). 10. "You shall not covet" (Romans 7:7). The Law of God in the Old Testament. 1. "You shall have no other gods before Me" (Exodus 20:3). 2. "You shall not make for yourself a carved image—any likeness of anything that is in heaven above, or that is in the earth beneath, or that is in the water under the earth; you shall not bow down to them nor serve them. For I, the Lord your God, am a jealous God, visiting the iniquity of the fathers upon the children to the third and fourth generations of those who hate Me, but showing mercy to thousands, to those who love Me and keep My commandments" (Exodus 20:4–6). 3. "You shall not take the name of the Lord your God in vain, for the Lord will not hold him guiltless who takes His name in vain" (Exodus 20:7). 4. "Remember the Sabbath day, to keep it holy. Six days you shall labor and do all your work, but the seventh day is the Sabbath of the Lord your God. In it you shall do no work: you, nor your son, nor your daughter, nor your male servant, nor your female servant, nor your cattle, nor your stranger who is within your gates. For in six days the Lord made the heavens and the earth, the sea, and all that is in them, and rested the seventh day. Therefore the Lord blessed the Sabbath day and hallowed it" (Exodus 20:8–11). 5. "Honor your father and your mother, that your days may be long upon the land which the Lord your God is giving you" (Exodus 20:12). 6. "You shall not murder" (Exodus 20:13). 7. "You shall not commit adultery" (Exodus 20:14). 8. "You shall not steal" (Exodus 20:15). 9. "You shall not bear false witness against your neighbor" (Exodus 20:16). 10. "You shall not covet your neighbor’s house; you shall not covet your neighbor's wife, nor his male servant, nor his female servant, nor his ox, nor his donkey, nor anything that is your neighbor's" (Exodus 20:17). 13. Are God’s law and Moses’ law the same? Moses’ law contained the temporary, ceremonial law of the Old Testament. It regulated the priesthood, sacrifices, rituals, meat and drink offerings, etc., all of which foreshadowed the cross. This law was added “till the Seed should come,” and that seed was Christ (Galatians 3:16, 19). The ritual and ceremony of Moses’ law pointed forward to Christ’s sacrifice. When He died, this law came to an end, but the Ten Commandments (God’s law) “stand fast forever and ever” (Psalm 111:8). That there are two laws is made clear in Daniel 9:10, 11. Note: God’s law has existed at least as long as sin has existed. The Bible says, “Where there is no law there is no transgression [sin]” (Romans 4:15). So God’s Ten Commandment law existed from the beginning. Men broke that law (sinned—1 John 3:4). Because of sin (or breaking God’s law), Moses’ law was given (or “added”—Galatians 3:16, 19) till Christ should come and die. Two separate laws are involved: God’s law and Moses’ law. Called "the law of Moses" (Luke 2:22). Called "the law of the Lord" (Isaiah 5:24). Called "law ... contained in ordinances" (Ephesians 2:15). Called "the royal law" (James 2:8). Written by Moses in a book (2 Chronicles 35:12). Written by God on stone (Exodus 31:18 32:16). Placed in the side of the ark (Deuteronomy 31:26). Placed inside the ark (Exodus 40:20). Ended at the cross (Ephesians 2:15). Will stand forever (Luke 16:17). Added because of sin (Galatians 3:19). Points out sin (Romans 7:7 3:20). Contrary to us, against us (Colossians 2:14). Not burdensome (1 John 5:3). Judges no one (Colossians 2:14-16). Judges all people (James 2:10-12). Fleshly (Hebrews 7:16). Spiritual (Romans 7:14). Made nothing perfect (Hebrews 7:19). Perfect (Psalms 19:7). 14. How does the devil feel about people who pattern their lives after God’s Ten Commandments? to make war with the rest of her offspring, who keep the commandments of God” (Revelation 12:17). “Here is the patience of the saints; here are those who keep the commandments of God” (Revelation 14:12). 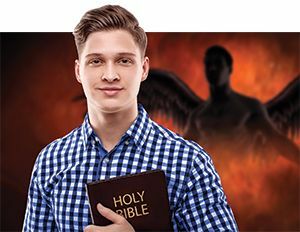 Answer: The devil hates those who uphold God’s law because the law is a pattern of right living, so it is not surprising that he bitterly opposes all who uphold God’s law. In his war against God’s holy standard, he goes so far as to use religious leaders to deny the Ten Commandments while at the same time upholding the traditions of men. No wonder Jesus said, “Why do you also transgress the commandment of God because of your tradition? … In vain they worship Me, teaching as doctrines the commandments of men” (Matthew 15:3, 9). And David said, “It is time for You to act, O Lord, for they have regarded Your law as void” (Psalm 119:126). Christians must wake up and restore God’s law to its rightful place in their hearts and lives. 15. 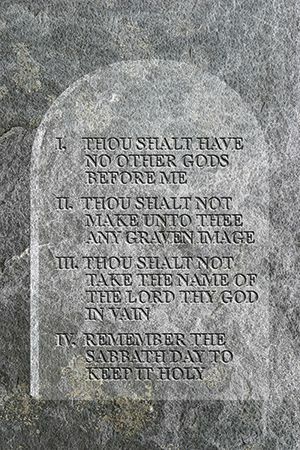 Do you believe it is essential for a Christian to obey the Ten Commandments? 1. Doesn’t the Bible say the law was (or is) faulty? No. The Bible says the people were faulty. God found “fault with them” (Hebrews 8:8). And in Romans 8:3 the Bible says that the law “was weak through the flesh.” It is always the same story. The law is perfect, but the people are faulty, or weak. So God would have His Son live within His people “that the righteous requirement of the law might be fulfilled in us” (Romans 8:4) through the indwelling Christ. 2. What does it mean when Galatians 3:13 says we are redeemed from the curse of the law? The curse of the law is death (Romans 6:23). Christ tasted “death for everyone” (Hebrews 2:9). Thus He redeemed all from the curse of the law (death) and in its place provided eternal life. 3. Don’t Colossians 2:14–17 and Ephesians 2:15 teach that God’s law ended at the cross? No. These passages both refer to the law containing “ordinances,” or Moses’ law, which was a ceremonial law governing the sacrificial system and the priesthood. All of this ceremony and ritual foreshadowed the cross and ended at Christ’s death, as God had intended. Moses’ law was added till the “Seed should come,” and that “Seed … is Christ” (Galatians 3:16, 19). God’s law could not be involved here, for Paul spoke of it as holy, just, and good many years after the cross (Romans 7:7, 12). 4. The Bible says “love is the fulfillment of the law” (Romans 13:10). Matthew 22:37–40 commands us to love God and to love our neighbors, ending with the words, "On these two commandments hang all the Law and the Prophets." Do these commands replace the Ten Commandments? No. The Ten Commandments hang from these two commands as our 10 fingers hang from our two hands. They are inseparable. Love to God makes keeping the first four commandments (which concern God) a pleasure, and love toward our neighbor makes keeping the last six (which concern our neighbor) a joy. Love fulfills the law by taking away the drudgery of mere obedience and by making law-keeping a delight (Psalm 40:8). When we truly love a person, honoring his or her requests becomes a joy. Jesus said, “If you love Me, keep My commandments” (John 14:15). It is impossible to love the Lord and not keep His commandments, because the Bible says, “This is the love of God, that we keep His commandments. And His commandments are not burdensome” (1 John 5:3). “He who says, ‘I know Him,’ and does not keep His commandments, is a liar, and the truth is not in him” (1 John 2:4). 5. Doesn’t 2 Corinthians 3:7 teach that the law engraved in stone was to be done away? No. The passage says that the “glory” of Moses’ ministration of the law was to be done away, but not the law. Read the whole passage of 2 Corinthians 3:3–9 carefully. The subject is not the doing away with the law or its establishment, but rather, the change of the location of the law from tables of stone to the tables of the heart. Under Moses’ ministration the law was on stones. Under the Holy Spirit’s ministration, through Christ, the law is written upon the heart (Hebrews 8:10). A rule posted on a school bulletin board becomes effective only when it enters a student’s heart. Likewise, keeping God’s law becomes a delight and a joyful way of living because the Christian has true love for both God and man. 6. Romans 10:4 says that “Christ is the end of the law.” So it has ended, hasn’t it? “End” in this verse means purpose or object, as it does in James 5:11. The meaning is clear. To lead men to Christ—where they find righteousness—is the goal, purpose, or end of the law. 7. Why do so many people deny the binding claims of God's law? "Because the carnal mind is enmity against God; for it is not subject to the law of God, nor indeed can be. So then, those who are in the flesh cannot please God. But you are not in the flesh but in the Spirit, if indeed the Spirit of God dwells in you. Now if anyone does not have the Spirit of Christ, he is not His" (Romans 8:7–9). 8. Were the righteous people of the Old Testament saved by the law? No one has ever been saved by the law. All who have been saved in all ages have been saved by grace. This “grace … was given to us in Christ Jesus before time began” (2 Timothy 1:9). The law only points out sin. Christ alone can save. Noah “found grace” (Genesis 6:8); Moses found grace (Exodus 33:17); the Israelites in the wilderness found grace (Jeremiah 31:2); and Abel, Enoch, Abraham, Isaac, Jacob, Joseph, and many other Old Testament characters were saved “by faith” according to Hebrews 11. They were saved by looking forward to the cross, and we, by looking back to it. The law is necessary because, like a mirror, it reveals the “dirt” in our lives. Without it, people are sinners but are not aware of it. However, the law has no saving power. It can only point out sin. Jesus, and He alone, can save a person from sin. This has always been true, even in Old Testament times (Acts 4:10, 12; 2 Timothy 1:9). 9. Why worry about the law? Isn’t conscience a safe guide? No! The Bible speaks of an evil conscience, a defiled conscience, and a seared conscience—none of which is safe. “There is a way that seems right to a man, but its end is the way of death” (Proverbs 14:12). God says, “He who trusts in his own heart is a fool” (Proverbs 28:26). _____ It is a perfect guide for happy living. _____ Like a mirror, it points out sin. _____ It is burdensome and oppressive. _____ It can protect me from evil. _____ It has the same characteristics as God. _____ It was canceled in the New Testament. _____ It is a curse. _____ Was for Old Testament times only. _____ Was abolished by Jesus at the cross. _____ I maintain an excellent record of good works. _____ I love the Lord, regardless of whether or not I obey the Ten Commandments. 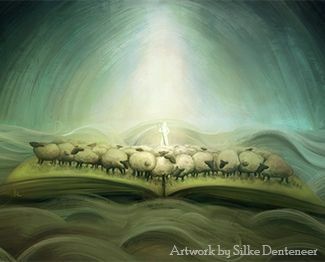 _____ My personal love relationship with Jesus leads me to obey all His commandments. _____ Keep God's law through the power of Christ. _____ Ignore the law because it is done away. _____ Consider commandment keeping unnecessary. _____ Can break the Ten Commandments without sinning. _____ Is freed from keeping the law. _____ Will gladly keep God's commandments. _____ Love does away with the law. _____ True love toward God and people makes keeping the law a joy. _____ Love is more important than obedience. _____ The same thing as God's law. _____ The law of ceremonies and sacrifices, which pointed forward to Christ and ended at the cross. _____ A requirement to keep forever. _____ Will be opposed by the devil, who hates God and His law. _____ Are saved by keeping the law. _____ Jesus broke the law. _____ Jesus is the perfect human example of keeping the law. _____ Jesus abolished the law. _____ Jesus said, "If ye love me, keep my commandments." _____ Jesus magnified the law and showed that it covers all sin. _____ Jesus said that the law cannot be changed. 13. I believe a Christian will gladly obey God’s Ten Commandments, and I am asking Jesus to help me bring my life into harmony with them.